But it's possible, now that Disney is buying Marvel. 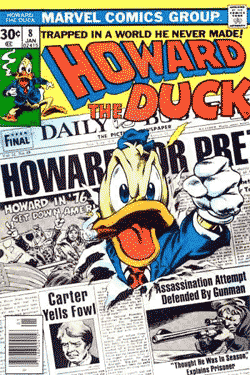 Disney once threatened to sue Marvel over Howard's resemblance to Donald Duck, and forced Marvel to re-design him so that he now wears pants. Could a Howard/Donald cross-over be looming? For me, one of the more intriguing things to watch over the next few years will be what happens to the mega-conglomerates like AOL Time Warner, Disney, Microsoft, and Viacom. Either they're going to wind up controlling every aspect of our lives in a kind of William Gibson/Neal Stephenson scenario, or their corporate nervous systems will start to break down, and they'll begin eating themselves alive, once there's nothing else left out there for them to devour. Or, worse -- both. [T]he Disney agreement is worded in such a way that Marvel isn't even permitted to create a new, alternative design for the character, even if that design bears no resemblance to Donald. I've done a lot of complaining over the years about the people who used to run Marvel, but even I never expected to see their monumental stupidity memorialized in writing. They literally allowed another company to redesign their character for them! As far as I can tell, they never even attempted to submit any alternative designs for Disney's consideration. They just left it in Disney's hands, and Disney gave them exactly what you'd expect -- the ugliest, most unappealing, least salable character imaginable. Let me come right out and say this: Marvel's former management was not only grossly incompetent; it was a pack of craven cowards. Oh, they were very big and tough when it came to dicking around their writers and artists, the people whose livelihoods they controlled, but they pissed their pants at the very idea of even having to negotiate with almighty Disney. The Disney artists who destroyed Howard must have had an enormous laugh at their expense, and the Disney lawyers must have thought they were dealing with a bunch of nitwits who lacked even the most basic instinct for self-preservation. Tarantino to direct Scalped and Black Knight/Blackest Night confusion? How about starting two totally-unsubstantiated-but-kinda-believable rumors? Yes please. Tarantino just collaborated with the artist and colorist for Scalped, R.M. Guera and Giulia Brusco, on a graphic adaptation of a scene from Tarantino's new movie Inglourious Basterds. Maybe Tarantino chose Guera and Brusco because: 1) he wanted to see what working with them would be like; and 2) he wanted to give a little publicity boost to Scalped. Tarantino directs terrific crime movies. 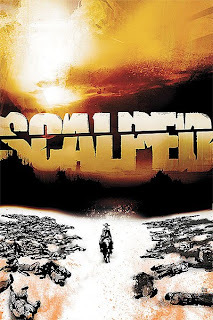 Scalped is one of the best crime comics out there. 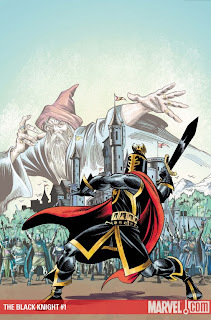 As far as I know, Marvel's Black Knight character has not been in the limelight in a while. 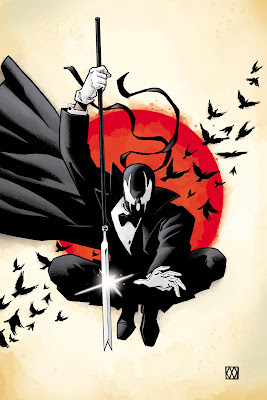 So what better time to feature him in a one-shot special than when DC's big Blackest Night crossover is taking place? Marvel's comic gets to piggy-back on DC's crossover sales boost simply because some people will not realize that the two are not affiliated, plus it helps to dilute the Blackest Night branding. Next, you should name your online comic book service "Digital Comics Unlimited," a.k.a. "DCU," just to screw with DC's "DC Universe," a.k.a "DCU." Oh wait, you already did. Here's the solicitation for the Black Knight one-shot. Note: These two rumors are totally unsubstantiated. I just made them up. But you have to admit they're kinda plausible, right? It's been almost a year since the last time, but you might remember my earlier posts where I attempted to provide a summary or trailer for a comic book series using only one panel from each issue of the series. I thought I'd try it again, this time with a lesser-known mini-series published by Wildstorm in 2006: Team Zero, by Chuck Dixon and Doug Mahnke. This is a pretty sweet cover. Click to enlarge. 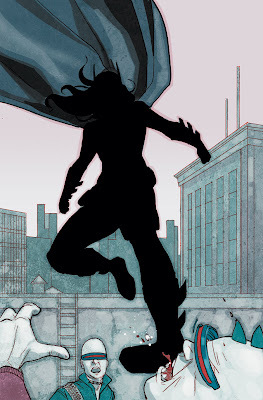 Batgirl #4 will be on sale November 11, 2009. Sounds pretty cool to me. Alternate history political intrigue? Sign me up. 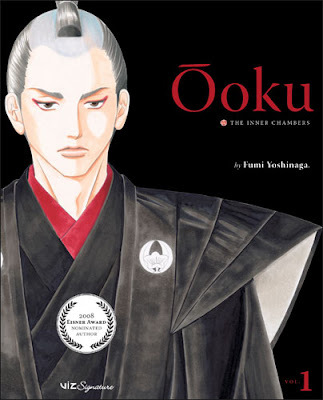 Plus, the series won the 2009 Osamu Tezuka Cultural Prize. Author Fumi Yoshinaga was nominated for the 2008 Eisner Award for Best Writer/Artist for Flower of Life and The Moon and Sandals, and she also wrote and drew Antique Bakery. Volume 2 comes out in December. If you are a parent, I'd like to draw your attention to several short posts on Double X that discuss whether Hayao Miyazki's new movie Ponyo is too scary for little kids. One of the two people writing about this issue is Slate's movie reviewer, Dana Stevens. 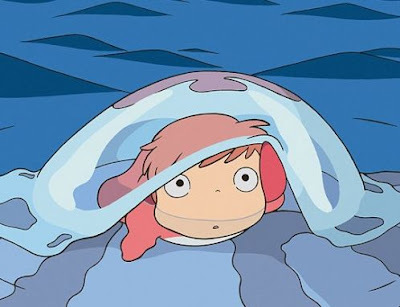 She has decided to take her three-year-old daughter to see Ponyo, even though there are a couple of scary parts. This is something that my wife and I have been wrestling with, since our four-year-old son LOVES Miyazaki's My Neighbor Totoro and Kiki's Delivery Service. We've held off showing him any of Miyazaki's other movies, though, because they are just a little too scary. After reading this discussion on Double X, I'm leaning toward taking him to Ponyo this weekend. ALSO: Double X now rates movies, books, games, and tv. The ratings are very helpful to parents. (They rate them by "Fear Factor," "Heart," and "Attitude," which are three qualities that I find very good to know in advance before showing things to my kids.) Here's their review of Ponyo. First: Happy anniversary to me! It has been one year since my first post here at I Love Rob Liefeld. It's been a fun year, and I want to thank everybody for reading and commenting. 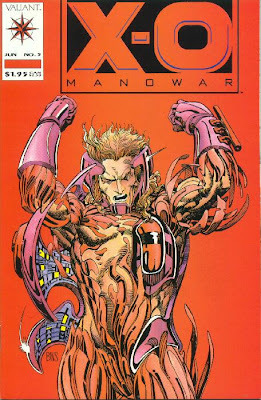 In honor of that first post, in which I explained why I love Rob Liefeld, let's once again turn back the clock to those banner days of the early nineties. 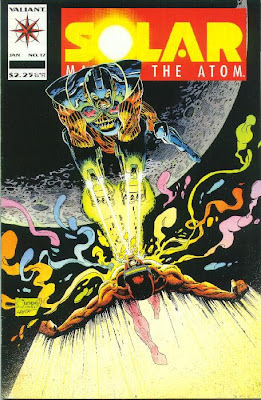 Let's talk about why I love Jim Shooter. Jim Shooter writes comic books and was once the editor-in-chief at Marvel. Not unlike Rob Liefeld, many people do not hold a very high opinion of him. In his case, it seems that people don't like him because of his overbearing managerial and editorial style. But I love Jim Shooter. And here is why: for several years he was the editor-in-chief and a driving creative force of the Valiant Comics superhero universe. 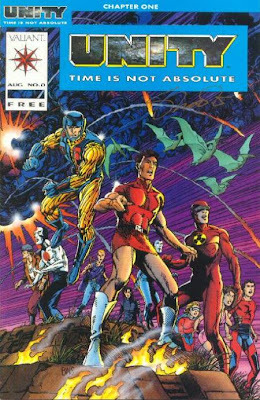 In 1992, just as I was getting into comic books, Valiant published a "crossover event" called Unity, which saw every Valiant superhero fighting in a massive battle to save the universe. I purchased all 18 issues of Unity in one shot from my local comic book shop. (The Dream Factory, R.I.P.) I can't remember what moved me to buy it, since I hadn't read any Valiant comics before that. It might have been on a friend's recommendation, or possibly due to a positive review in Wizard Magazine, which was a big booster of Valiant at the time. In any event, Unity blew me away. 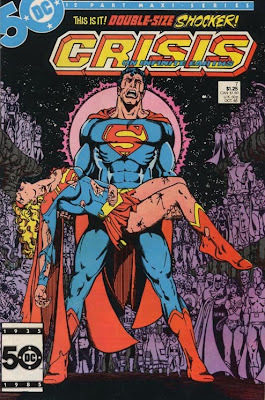 It was my first introduction to the idea of a "shared" superhero universe, where events in one comic can have effects in another, where characters from one book meet and interact with characters from another, and where all of the books work together to build a complete world. 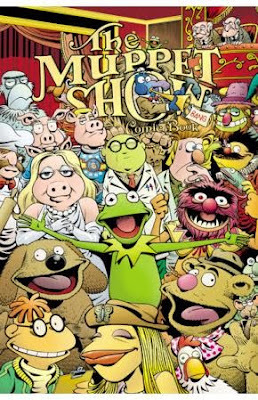 There is something fascinating about reading a comic and knowing that the story is at that moment becoming part of the history of that universe, something that can influence later stories. You get to witness the birth of new heroes and villains, see them rise from lowly beginnings as minor characters to blossom as vital and important pieces of the universe. 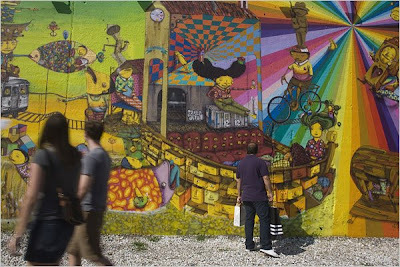 All of the books set in the universe ultimately end up telling small parts of what becomes one giant story, the story of that universe. Crossover events are the high points of that universe's story, in which everything comes together, the stakes are raised, and big, important things happen. During those first few years, Valiant's superhero universe was a well-oiled machine, and I attribute much of its success to the editorial direction and control of Jim Shooter. 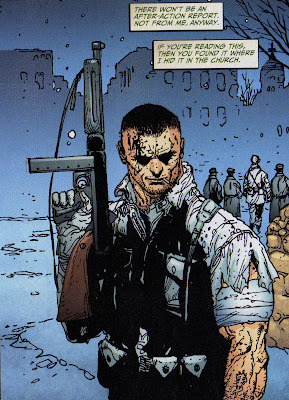 Unfortunately, Shooter was eventually booted from the company, and in the mid-90s Valiant over-expanded and diluted its line by publishing more and more mediocre titles, and I lost interest. Since then, I've never really been able to recapture that magical feeling you can get when you know everything that is going on in a shared superhero universe. 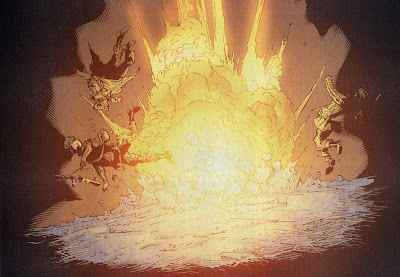 Marvel and DC's universes are too big, with too many characters and with histories that are dense and convoluted. I don't have the time, money, or desire to know what is going on in every book from either company. 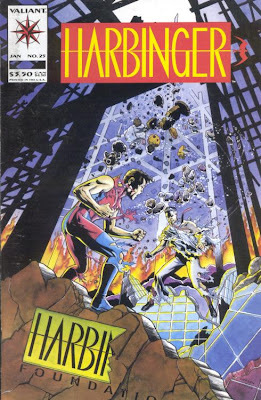 But for several years in the early 90s, I was lucky enough to read the story of the Valiant universe, and it was great. And that is why I love Jim Shooter. Buy This Comic is an ongoing feature here at I Love Rob Liefeld in which I recommend one comic book -- and one book only -- arriving on shelves on Wednesday. 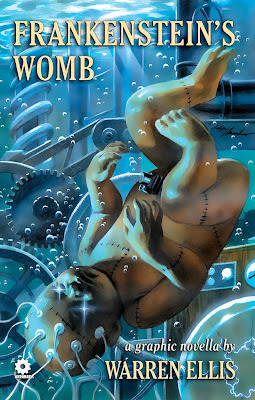 The 32-page, no-ads comic, edited and produced by Scott Dunbier, special projects editor at IDW Publishing, will be released in late July with two covers, Eve by J. Scott Campbell, and Grendel by Matt Wagner. The fundraising book will contain great, all-new content including an original American Flagg! story by Howard Chaykin, and original stories by Gene Ha, Bill Willingham, David Lloyd, and Kaare Andrews, published by the Hero Initiative, 32 pages, $3.99. 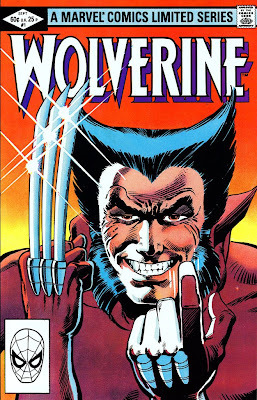 In addition, Arthur Adams will recreate three classic Marvel Comics covers, and Hero Initiative beneficiaries such as Gene Colan, Bill Messner-Loebs and Josh Medors will tell their own personal stories, detailing their severe struggles, and Hero's involvement. The Hero Initiative is a worthy cause to support, since it provides aid to comic book creators and their families. This benefit book has a number of terrific contributors, so go buy it. Here's a link to more information about the book. I wouldn't call myself a Marvel person or a DC person. I tend to read what sounds good, whether mainstream or independent, superhero or literary. I look for writers and artists whose prior work I have enjoyed, and I try to pick up books that have been well-received by the reviewers and critics that I respect. But I have noticed that, for whatever reason, I read far more Marvel than DC books. I'm beginning to think that it comes down to an ingrained difference between the two companies in their entire outlook on storytelling, their worldview. Marvel's worldview simply appeals to me more. Maybe you can quibble with my choices, but I think both covers are recognized as among the most iconic covers of the past several decades. Simply by looking at these two covers, what can we learn about the storytelling outlook of the two companies? Honestly, I think that is a fairly accurate picture of the output of these two companies. And looking at these two lists, I think it's pretty clear why I gravitate toward Marvel's books. What do you think? Is this correct? Any other differences in storytelling outlook that you can name? Did I pick the wrong covers? Publisher's Weekly just posted an interesting interview with David Small, the author of Stitches, which I reviewed here. They also put up a sixteen-page preview of the book. Both items are well worth your time. Actually, I recommend: (1) looking at the preview now to get excited about the book; and (2) bookmarking the interview and reading it after you've read the book, since it provides a lot of fascinating information about the creation of the work. Do you listen to podcasts about comic books? I listen to two: (1) Awesomed by Comics; and (2) House to Astonish. I recommend checking them out, if you have a moment. *Wait, was that TWO Sean Connery references in one week? Good lord, what is going on here? The newest addition to Warren Ellis' Apparat line of original graphic novels has arrived! 1816 was called 'The Year Without A Summer.' In the weird darkness of that July's volcanic winter, Mary Wollestonecraft Godwin began writing Frankenstein on the shore of Lake Geneva in Switzerland. But that is not where Frankenstein began. It began months earlier when, en route through Germany to Switzerland, Mary, her future husband Percy Shelley, and her stepsister Clair Clairmont approached a strange castle. Castle Frankenstein, some one hundred years earlier, had been home to Johann Conrad Dippel, whose experiments included the independent invention of nitroglycerin, a distillation of the elixir of life - and the transfer of a live soul into an awful accretion of human body parts. Mary never spoke of having entered the real Castle Frankenstein, stark on its hilltop south of Darmstadt. But she did. And she was never the same again - because something was haunting that tower, and Mary met it there! Fear, death and alchemy - the modern age is created here, in lost moments in a ruined castle on a day never recorded. Following up the huge successes of Crecy and Aetheric Mechanics, Ellis turns his spark of mad genius to bring us a fantastical tale in this all new original graphic novel illustrated in atmospheric perfection by newcomer Marek Oleksicki. Although I am by no means a Warren Ellis nut, I enjoyed both Crecy and Aetheric Mechanics, Ellis's two previous "graphic novellas" published by Avatar, so I'm looking forward to this one. Here is a seven-page preview.